Audi’s stunning range of SUV’s has just expanded. 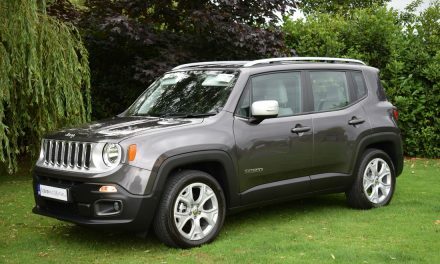 The latest addition is the Q2, which sits below the Q3, Q5 and seven-seat Q7. The new Audi Q2 offers a distinctive & unique style, premium-brand quality and big-car features that have made rival manufacturers sit up and take note. The Q2’s interior is spacious and offers more than adequate head and legroom for this size of car. It’s great to drive too, with responsive controls and surefooted handling combined with a comfortable ride quality. It was only just over a decade ago that Audi launched its first SUV. That was the Q7, and since then the range has expanded to include the smaller Q5 and Q3, and this, the smallest model of all, the Q2. 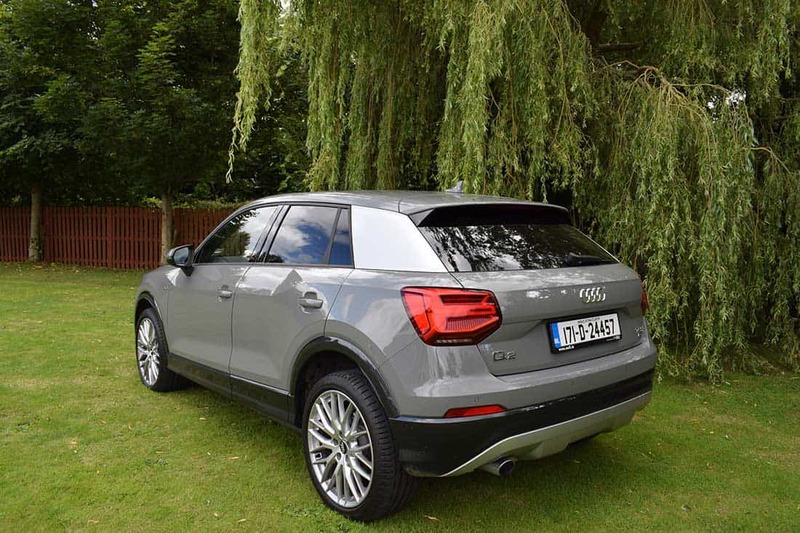 The new Q2 is based on the same platform as Audi’s A3 hatchback, so excellent driving dynamics are guaranteed. It also shares engines and gearboxes with the A3, so it delivers excellent performance, surprisingly agile handling and good economy. 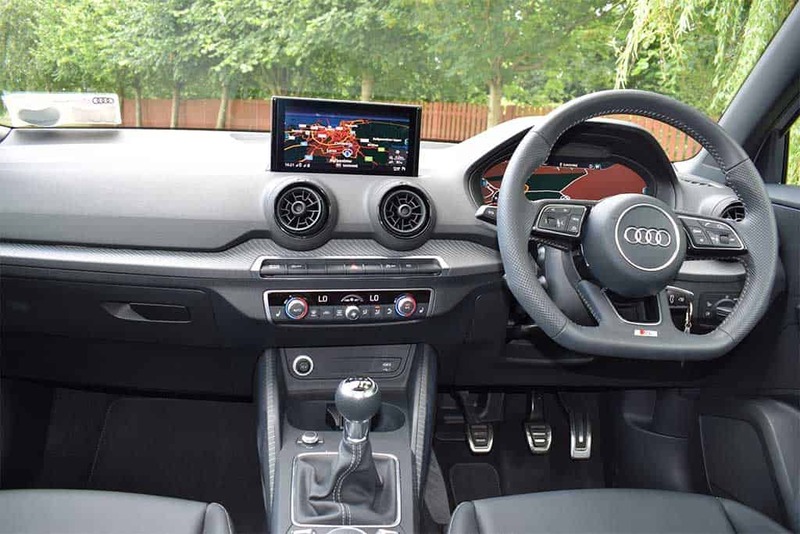 The Q2 is full to the brim with state-of-the-art technology too – including Audi’s Virtual Cockpit and Audi Connect on the options list. There are two trim levels available: SE and S-line. 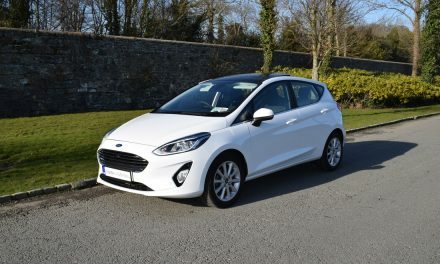 SE models get 17” multi-spoke alloy wheels, a dash-top infotainment screen, air-conditioning, 3-spoke multi-function steering wheel, auto lights & wipers, cruise control, front arm-rest, rear parking sensors, electromechanical parking brake, Bluetooth, 2 USB ports and a CD player. 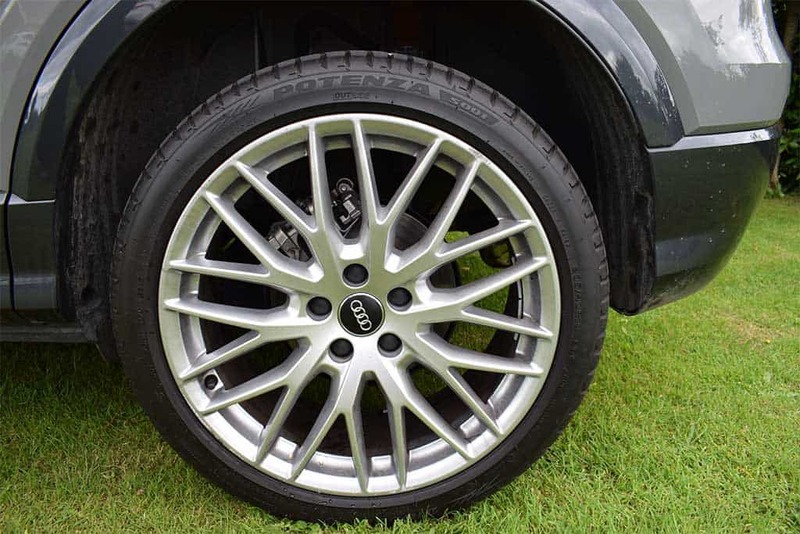 Flagship S-line models come with 18” 5-spoke alloy wheels, full LED lights with scrolling indicators at the rear, part- leather seats, flat-bottomed 3-spoke multi-function steering wheel and sports suspension. S-line cars also get LED interior lighting that bathes the cabin in gentle light and illuminates various trim elements. Boot space in the new Audi Q2 ranges from 405-litres with the back seats in place to 1050-litres with the rear seats folded. At 4,191mm long, 2,009mm wide and 1,508mm in height the new Q2 looks great from every angle and certainly turns heads with its dynamic poise. My test car was a new Audi Q2 S-line fitted with a 1.0-litre TFSI (petrol) engine which produces an impressive 116bhp. The 0-100km\h sprint can be completed in just 10.1-seconds while leading to a top speed of 131km\h (where permitted). 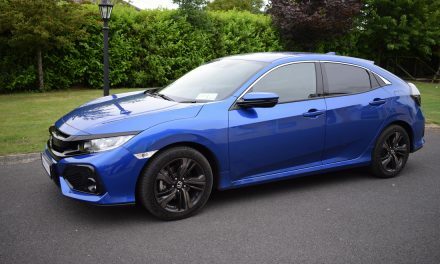 Combined fuel economy of 50mpg (5.7-l/100km) is possible from this superb petrol engine, while annual road tax is €280. 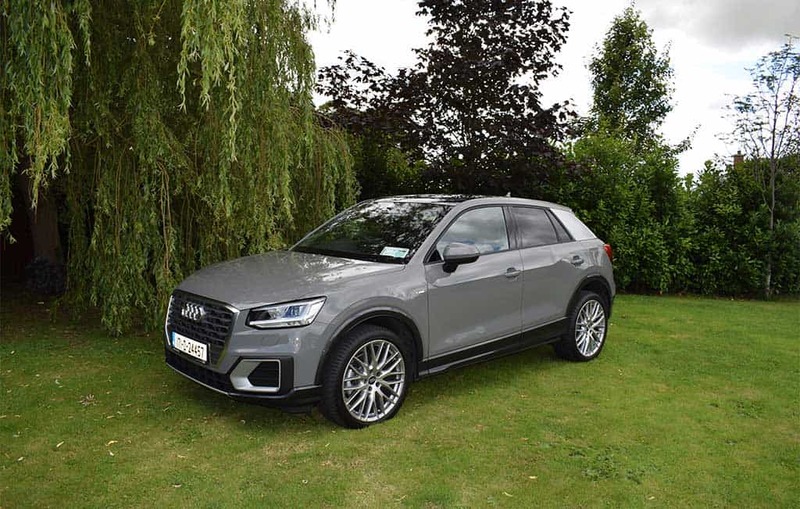 A 1.4-litre TFSI engine is also available in both trim levels and all engines in the new Q2 are available in manual or automatic (S-tronic) guise. 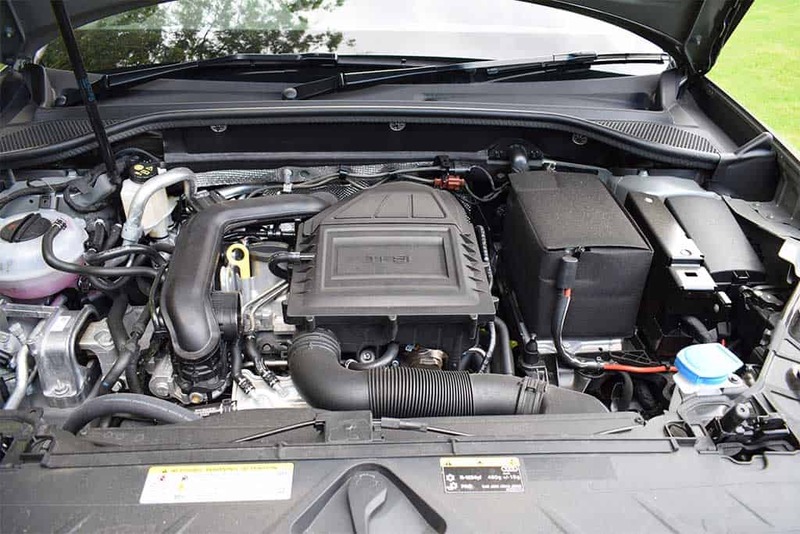 There are two diesel engines available, a 1.6 TDI with 116bhp and a 2.0 TDI with 150bhp (only with Quattro 4WD). Audi’s Pre Sense safety kit is standard across the range, and this includes Autonomous Emergency Braking, which will put the brakes on if the sensors detect a pedestrian stepping out in front of the car. Competitors to the new Audi Q2 include such cars as the BMW X1, Mercedes-Benz GLA, Seat Ateca, Nissan Qashqai, Mazda CX-3, JEEP Renegade, Toyota CH-R and Mini Countryman. Retail prices for the new Audi Q2 start at €30,950 for the petrol (TFSI) model and from €33,490 for the diesel (TDI) model. The new Q2 is yet another example of Audi’s trademark ‘Advancement Through Technology’ slogan. 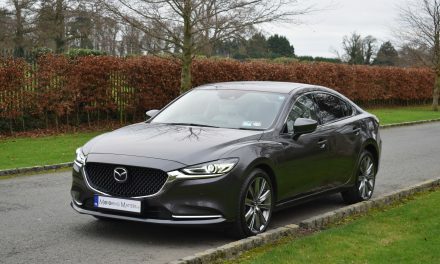 Stunning New Mazda 6 Saloon – Redefining Expectations.